I will be concluding my sermon series titled "Speaking of God" on Sunday. I that sermon I will address the Christian affirmation that God is Trinity. 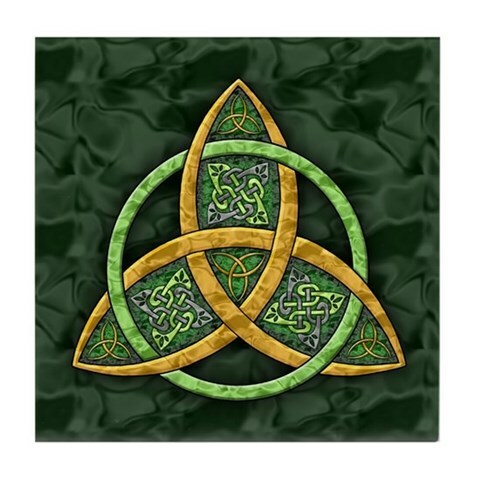 To say that Christians speak of God as Trinity is not to say that all Christians join me in affirming that position, but it is the dominant position. While Christians have been affirming their belief in the Trinity, it would be safe to say that it rarely has any practical implications. That is, in my opinion, unfortunate. Fortunately there has been a revival of Trinitarian conversation, which has sought to bring out the practical side of the conversation. I recently finished Leonardo Boff's brief engagement with the Trinity, Holy Trinity, Perfect Community, along with books by Elizabeth Johnson and Catherine Mowry LaCugna. These encounters with Feminist and Liberationist theologians (all Roman Catholic by the way, though two have been "silenced") have stimulated my thinking about the importance of stressing the relationality that is present in God. Both Johnson and LaCugna speak of our encounter with the God we know as Trinity as God is moving to save creation -- that is to bring creation back into full communion with God, and with that communion with one another. It would seem, then, that our calling as church is to live in such a way that we experience mutuality and equality as a community living in relationship as defined by and exemplified by God -- whom we know as our "Father, Son, and Holy Spirit, Mother of us all."